For many people, dental anxiety or fear of the dentist can prevent them from receiving the dental care that they need. At Hyde Park Dental Care located in Sydney’s CBD, we have a range of sedation and relaxation options to ensure that you receive the dental treatment you want in a pain-free, relaxed environment. Dr Joffe is passionate about delivering dental care that supports an anxiety free experience for his patients, and goes out of his way to help patients young and old feel relaxed, comfortable and at ease in the dental chair. For patients who suffer from dental anxiety we offer various forms of sedatives. This comes in the form of a tablet that you ingest (swallow) an hour prior to your treatment. It is important to note if you do choose this form of sedation that you will require a trusted adult companion to take you home after your appointment and you are also advised not to make any important decisions up to 24 hours after taking the sedative. We also offer other sedation and relaxation options to ensure that your visit to our practice is as comfortable as possible. 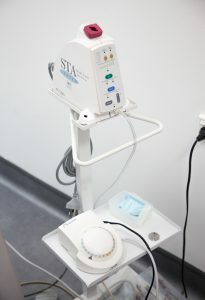 ‘The Wand’ is a computerised injection delivery system that can precisely control the rate of delivery of the anaesthetic. Many people believe that the source of pain or discomfort experienced during injections is the initial ‘prick’ of the needle, when in actual fact it is usually the speed of the delivery of anaesthetic. ‘The Wand’ is a pen-like device that can remove the main source of anxiety when visiting the dentist – the needle. Many people fear painful injections when they visit the dentist, but with “The Wand” this is no longer an issue. Intravenous sedation or IV sedation is an option we offer that allows Dr Joffe to perform dental procedures while you are under the influence of an anti-anxiety drug administered via an injection. For more information on relaxation dentistry, please contact our friendly team today.